You’re ready to relocate your business. Where do you begin? Many site selection firms seek out basic demographic and industry data online before contacting localities for information on business incentives, real estate credits and job training assistance. Alex Metzger is president of Next Move Group, a site selection and incentives negotiation firm that helps companies expand in their current space or relocate to new locations. The company specializes in making sure clients make the best use of state and local incentives. Parsing data on localities and properties used to be a time-consuming process for site selectors – but Henrico is making it much easier. 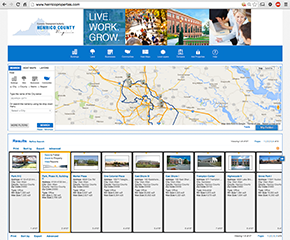 HenricoProperties.com is a new site managed by the Henrico County Economic Development Authority (HEDA) that offers site selectors a comprehensive snapshot of available properties, as well as demographic data and GIS mapping for the county. The website is powered by a new site selection and analysis tool designed by GIS Planning, Inc., called ZoomProspector. 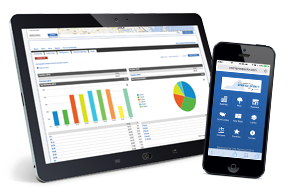 With the help of ZoomProspector software, HenricoProperties.com offers an intuitive search format that allows users to gather comprehensive demographic data along with information about available sites and properties, communities and businesses. Data is pulled from reliable, up-to-date, trusted public and private sources and can be mapped and presented in exportable charts, graphs and other easy-to-read formats. Looking for detailed wage, consumer spending or labor force stats? You’ll find it on HenricoProperties.com. Search for businesses by industry name. Then layer on business corridor and Enterprise Zone information, drill down to detailed building or property information, and even search for specific spaces by square footage. The web pages are all fully featured, and the site is fully optimized for use on mobile devices. All of this functionality will make HenricoProperties.com a valuable supplement to HEDA’s current site, Henrico.com, and allow visitors to both websites to access more detailed, real-time data on available properties and the county itself. Users looking to relocate employees can choose an area and learn more about the surrounding housing market – or find out how local consumers are spending their money. There's even a tool that allows users to compare properties they're interested in. Henrico County is currently the only locality in Central Virginia to offer this type of tool to those looking to do business in the county. Investing in software like ZoomProspector and making accurate, comprehensive information easily accessible to potential investors is vitally important to the HEDA in its efforts to help businesses grow. Henrico County offers a wide variety of competitive business incentives and has an abundance of conveniently located, wonderfully appointed properties available. In Henrico, businesses find an ample supply of employees with a wide range of skills who are ready to work for new and expanding companies. Whether you’re new to the area or looking to grow your existing business, start your search at HenricoProperties.com today and take advantage of tools that will make your search faster and easier.